Less than 250 grams, no need to register them if you are in the USA, and customizable to the point of being a docile indoor quad or a mighty screamer that will give a 5 inch quad a run for its money. Last year, I had written a post on micro quads – at that time, I was itching to build one, and I ended up building the Shen Drones Shrieker. I’ve since disassembled it, and the frame is lying in my drawer, but it was one of the most fun quads I ever had. Micros have evolved by leaps and bounds – technology is getting better and smaller, and FC-ESC-RX stacks, and camera+VTx combos(more on those below) have made building incredibly easy and tight. Do I want to fly indoors or outdoors, or both? Because micros are so varied in their performance, you’ll need to have a goal in mind before you start building. Arguably, the greatest advantage of a micro is the size – so if you build a super powerful rocket, it may not be the easiest to fly in a small backyard. What kind of motor you decide to run will define your micro. You have the option of using brushed motors or brushless motors. 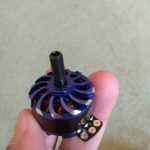 Brushed motors are the tiny motors you find on toy quads – they’ve also come a long ways and there are decently powerful brushed motors available on the market. Brushed quads are ideal for indoors if they have prop guards, or for tight outdoor spaces if you don’t have prop guards and it’s not too windy. They usually will weigh less than 60 grams or so with a 1 cell LiPo battery. The disadvantage of brushed motors is obviously their limited power and the fact that they wear out after 4-6 hours of use, meaning you’ll have to replace them every so often. Of course, they’re comparatively cheap. 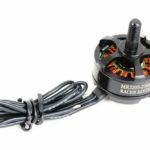 Brushless motors are the kinds of motors we use on our bigger quads – except for micros, you have some pretty tiny brushless motors. 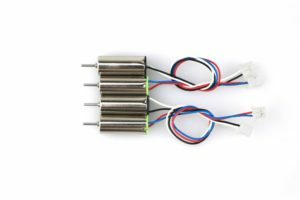 These are way more powerful than brushed motors(one brushless motor will probably generate the thrust of 4 brushed motors combined, even on a 2S battery), and they last indefinitely long – they won’t wear out like brushed motors. However, brushless builds are a little bigger than brushed builds, and weigh a lot more, too. Also, brushed builds will generally have flight controllers that have built-in ESCs(and sometimes even receivers), so literally all you’ll need is a board, motors, and a camera to be in business. And since a 1S pack only sends up to 4.2 volts, there’s no need for a separate PDB, either. Everything is powered through the flight controller. For a brushless build, you’ll need everything you would on a regular sized miniquad, including a PDB, flight controller, ESCs, and a receiver, along with FPV gear. There are now flight controllers available that have built-in vTxs, OSDs, PDBs, or a combination of those units, too. This is a Whoop. It is my Whoops. Whoops are cool. Unless you have been living under a rock for the past few months, you’ve heard of Tiny Whoops. 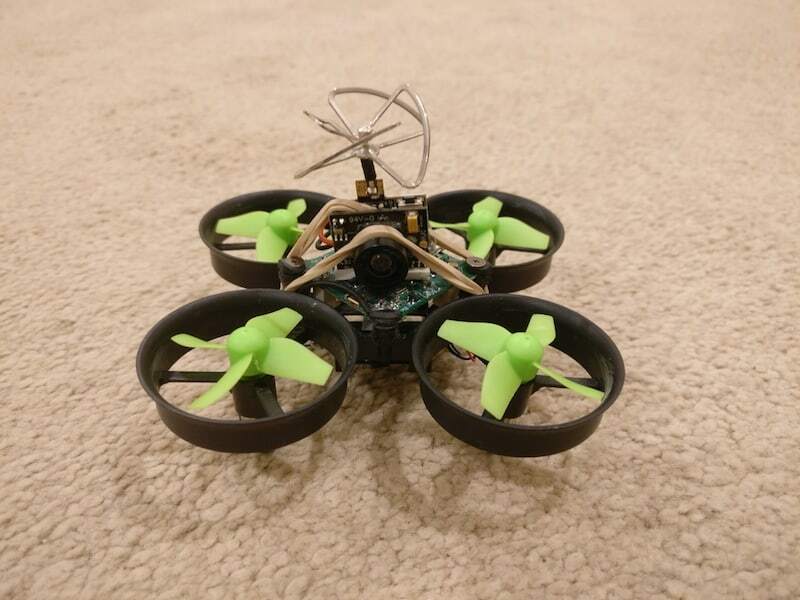 They are a modded version of the Blade Inductrix micro quad, adapted for FPV with stronger motors and better batteries. I only recently got myself a Tiny Whoop, but I have not been disappointed. These things are stupidly fun to fly, and just buzzing around the house and even around people(the propellers are ducted, and the quadcopter weighs 21 grams) through the goggles is an incredible experience. You’ll find tons of videos on Reddit and YouTube of people messing with their kids and their pets using Tiny Whoops! Building a Tiny Whoop is fairly simple – you’ll need an Inductrix frame(or Eachine E010 frame, which I use), a flight controller(lots of options, Beecore, BeeBrain, to name a few), motors(many speeds available, 16000kv/59000RPM is good for indoor fun, 19000kv for INSANITY), an FPV camera+vtx(again lots of options, Eachine TX01, TX02, TX03 all great options), and some MyLipo.de batteries. The MyLipo.de batteries are what make the Whoop go – I first tried with cheap Eachine batteries and the quad barely moved, and with the MyLipo batteries, the quad is a totally different animal. The Tiny Whoop is ultra portable, can be carried around in a neat little box wherever you go, and can literally be flown anywhere. The Tiny Whoop YouTube channel is full of awesome videos with an even more awesome soundtrack of the team flying Whoops wherever they could imagine. For a full FPV experience, using proper goggles and a hobby-grade radio like the Taranis or a Spektrum, Tiny Whoops just can’t be beaten for an indoor quad that would be fun in the smallest of apartments to the largest of houses. The only issue I have with the Whoop is that it’s a little expensive compared to other brushed options(see below). I built my Whoop wholly from scratch, and spent $3 on a frame, $3 on props, $30 on the flight controller, $20 on the camera, $20 on motors, and $40 for 5 batteries including shipping, bringing the total to $116. A more expensive camera and flight controller would have brought the total up to $136, which is not a small amount. Also, if you are not living in the United States, Australia, Germany, or the UK, the MyLipo.d batteries will be tough to find. I even asked Jesse Perkins, who said the other batteries are copies, and the original and true “Whoop” batteries are indeed the MyLipo.De ones. However, if you just can’t get your hands on those, try the Tattu ones or the NewBeeDrone ones. Since then, I have invested in a Beta65S Tiny Whoop and it’s the MOST AMAZING TINY WHOOP I HAVE EVER FLOWN PERIOD. Since the Tiny Whoop craze, Banggood/Eachine have been releasing brushed quadcopters left and right. Notable ones are the QX90 and QX95, both which are available on Banggood. There are far too many to keep track of to do individual reviews of each one(if I get my hands on any, I will, for sure). Note: You can browse their ever-changing collection here. The advantage of these brushed micros is that for around $60-70, you’ll get a a whole frame, flight controller, camera, motors, props, and 1 or 2 batteries – pretty much everything you need to get in the air. Compared to the $100+ price tag of the Tiny Whoop, you could get two of these for the cost of one Whoop. 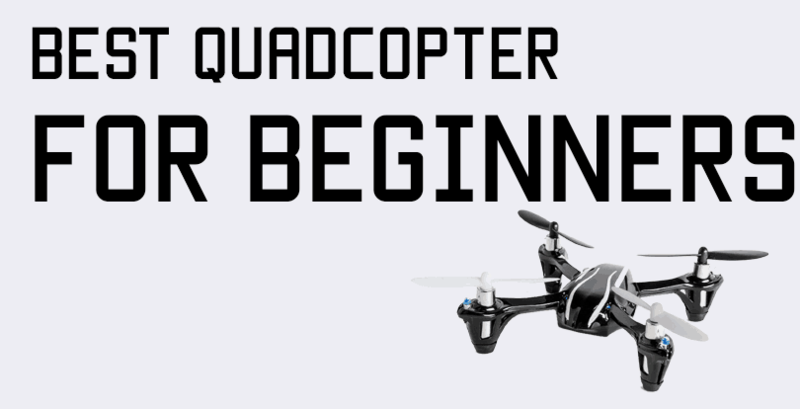 Banggood packages them very nicely in 3 versions, compatible with FrSky, FlySky, and Spektrum, covering pretty much everyone in the hobby – if you are one of the 15-20 miniquad guys that use Graupner, Radiolink, or Futaba, I’m sorry! Eachine also has some Tiny Whoop clones with ducted propellers, so those are worth checking out, too. 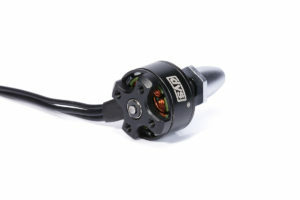 As far as I know, there hasn’t been any standardized testing of brushed motors like there has been for brushless motors, so a lot of it is guesswork – I know that the QX90 and QX95 has been the preferred choice for most folks compared to the other builds available, but if you order a new release, it’s hit or miss. The Banggood/Eachine micros generally sport bigger motors than the Whoop, so they’re more suited to outdoor flying in low winds as well as indoor flying if you have prop guards. As far as brushless micros are concerned, there are plenty of options and lots of potential to mix and match. There are far too many components to list every single one and review them here, but I’ll try my best to give an overview and point you in the right direction. 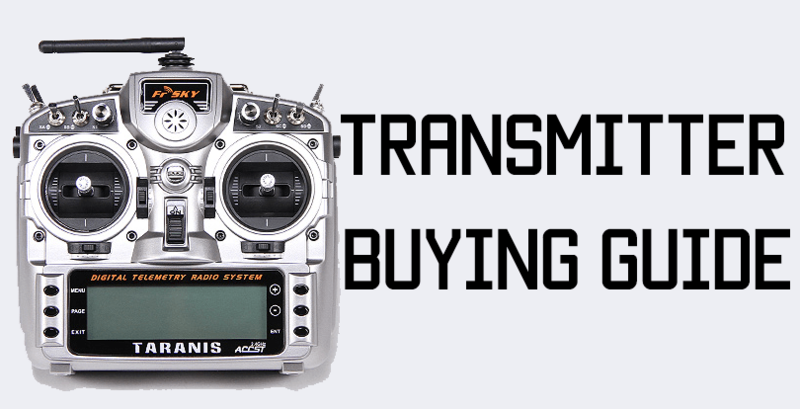 I was sent a Grasshopper 94 from Gearbest to review – it’s a pretty decent(actually very good) micro PNP quadcopter – you just need to slap on a receiver and you’re good to go! Check out the review here. There are plenty of BNF and RTF micro quadcopters now. Micro frames will be in the 70ish mm-130mm range. Larger 130 mm frames will be easier to build, and you’ll be able to fit larger components in them very comfortably. The smaller you get, the tougher the build will be, or the more need there will be to use stacks and all-in-one components. 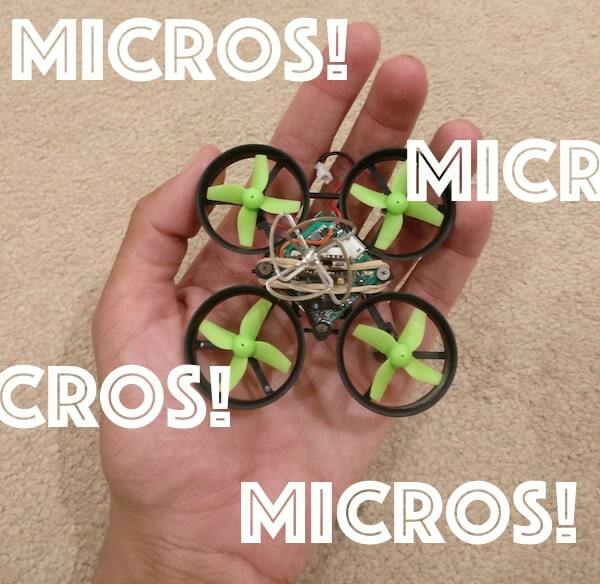 TomoQuads makes some really, really neat micro frames, as does FlexRC. An all time classic is the Rotor X Atom. On a tiny build, you can fit anything from 1103 motors all the way to 1407 motors. Of course, the super micro frames that are less than 80mm won’t be suited for 13xx or 14xx motors, but the larger 100mm + frames will be able to fit them comfortably. Note: For more in-depth information on motor size, check out this post I wrote. 13xx and 14xx motors will get you a super powerful micro, capable of running 4S packs. These will be the monsters that will shred any track or backyard. DYS makes really nice 1306 motors(I used those on my Shrieker), and for 1407, consider BrotherHobby or RCX. 11xx motors are for tight, ultra light builds, and while you could hypothetically run a 4S pack on them, it’s better to stick to 3S and 2S. 3S will be a decently fast outdoor quad, and 2S will get you a nice indoor flyer. Note: I feel that a 2S micro is still too powerful for a small apartment. If you have a large, open house or a large basement, then a 2S micro indoors will be fine. For smaller props, use 11xx motors with a higher kV rating. 11xx motors range from 4000 all the way up to 10000 kV. I’m not going to go too deep into recommending motors because they’re going to vary with the size of the frame, and most frame manufacturers will list recommended parts along with the frame, so you can get an idea of what the frame is most suited for. On a brushless micro build, you can use anything from a 2S all the way up to a 4S battery. The capacity will usually be between 400-850 mAh no matter the cell count. 2S will be for indoor ripping and outdoor coasting. You would want to pair a 2S battery with 11xx motors, since 13xx motors weigh nearly 2.5 times more and the added weight may not be offset by the added thrust of the larger motor. A lot of the super-micro brushless builds(100mm) will recommend using a 2S battery. 3S is pretty versatile and can be used with both 11xx and 13xx motors. With 11xx motors and a heavier build, you could get away with flying indoors, though you want to make sure you have prop guards! I once tried converting my Shrieker into an indoor build by swapping out the 1306 motors with 1104 motors and swapping out the 850 mAh 4S with an 850 mAh 3S. The build was still pretty heavy at around 170 grams with battery, and it hovered at 50% throttle, and it was ideal for indoor ripping, but in a large, spacious room. A lighter 3S build using 13xx motors would rip very nicely outdoors. You can’t really get lighter in terms of components, but you can shave off 40-50 grams by using a smaller 450 or so mAh battery. Larger micro frames have the 36×36 mounting pattern which will fit pretty much any flight controller on the market, so you don’t have much to worry about in that case. 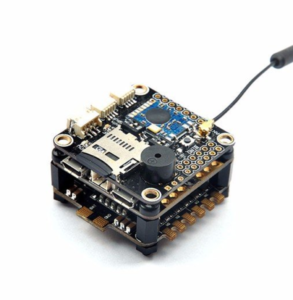 The smaller frames are built around the Piko BLX flight controller, which has a smaller 27 x 27 mounting pattern, and it has a PDB built in, which greatly cleans up wiring and lowers your stack by a whole board. The Piko BLX is an F3 controller which will process lots of data and fast, making it slightly easier to tune and smoother in flight. Like with flight controllers, you could use pretty much any ESC – as long as it’s not too big, of course! I’ve used LittleBees on my Shrieker, and they just about fit. A smarter choice for a micro would be to use a 4-in-1 ESC, which would go right under the FC as a neat stack and take up very little space. It also makes wiring a lot cleaner and easier, since there’s no ESC power wires – the battery voltage goes directly into the ESC. Amperage doesn’t really matter on such a small build, so you could even get away with a 6A or 10A ESC on a 2-3S build. If you’re going 4S, stick with 20A(they’re tiny anyway, and maybe overkill) just to be safe. The only caveat with a 4-in-1 ESC is that you’ll need a FC that can take more than 5V to power it directly from the lipo battery, otherwise you’ll need to use a small step-down regulator. Receivers used to be a big hassle, where you’d have to depin and decase receivers to make them small enough to be unintrusive on a micro. However, there are plenty of super-tiny receivers now available that work with FlySky, FrSky, and Spektrum. 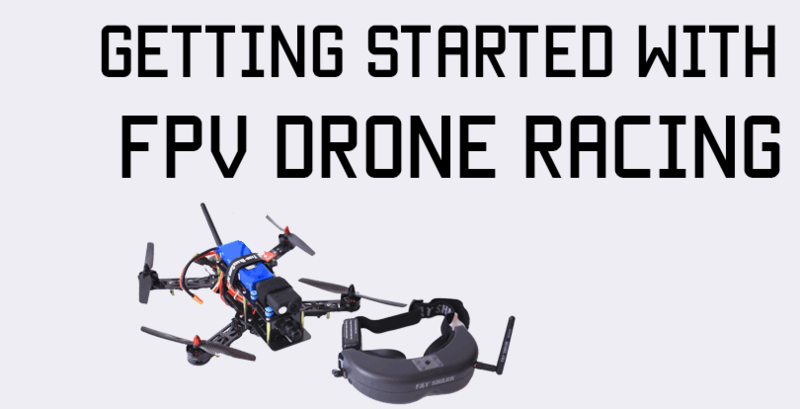 The Tiny Whoop revolution has developed FPV gear for micros by leaps and bounds. Earlier on, you’d have to fiddle with a tiny receiver and a separate tiny camera, or cut off the SMA connector from a regular sized transmitter and direct solder an antenna. The signature “Tiny Whoop” style camera is so awesome that you can pretty much use it for any micro build, and many new designs incorporate a cutout at the front of the frame for the antenna to pop out from. Even if there is no cutout, you could solder a pigtail to the camera/transmitter unit and run a normal antenna from the back of the craft. The weight savings are insane on these things, as the camera + transmitter + antenna weighs just 4-5 grams, compared to earlier where a transmitter alone would be 5-6 grams, plus another 7-8 grams for an antenna, and you could get away with a small 2 gram camera. In builds where every gram makes a huge difference in flying performance, this is huge. The FX797T is the classic Tiny Whoop camera, but the Eachine TX series is also pretty good. I get some insane clarity indoors with my Eachine TX02 mounted on my Tiny Whoop. That pretty much covers all the parts you’ll need for a micro build. I hope I was able to help clarify the options you have in terms of brushed vs brushless, and parts. If you’ve done a build, please share it here in the comments, that would be awesome! This was a good read! Although the Shrieker is not an X frame. It has a slight “dead cat” configuration. Ah, thanks for pointing that out! I’ll update it. Also the fun to weight ratio is CRAZY… I love the tiny quads. Planning to build one soon. Making flight controller myself is the difficult part.